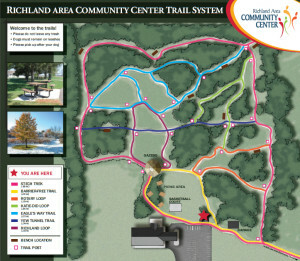 We have a beautiful trail system for all abilities to enjoy. Our trail system features barrier free access directly from the parking lot, as well as benches and barrier-free picnic tables along the path. 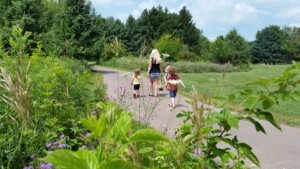 Several people have used the trails as part of their physical therapy after surgery. 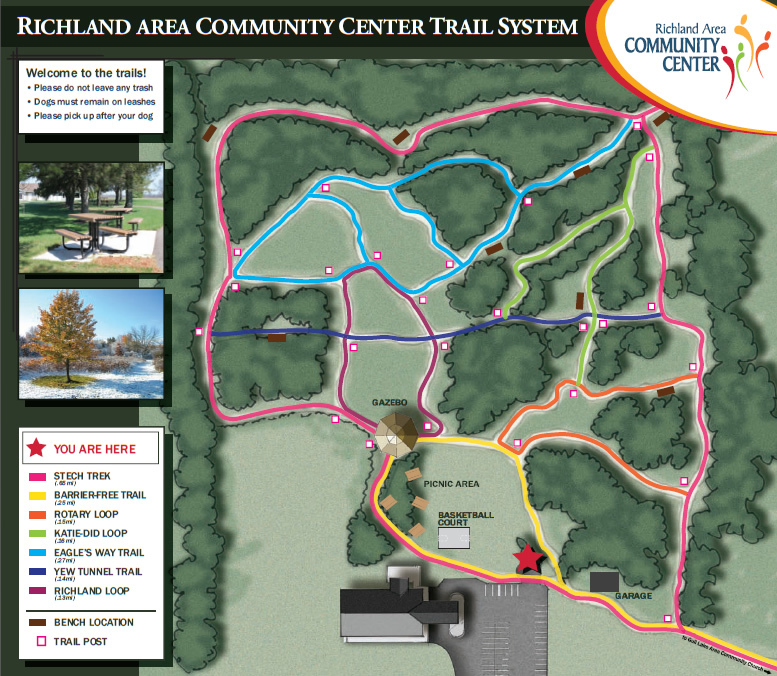 In addition to the 1/4 mile paved loop, there is a picnic area, a gazebo and 22 acres of mowed trails through forest and open grassy areas. Come and enjoy the beauty and wonder of the out-of-doors in our back yard!